The 2018 RAM 2500 is a powerful workhorse that offers Brady truck lovers access to best-in-class gasoline towing of 16,320 pounds as well as a potent Cummins diesel engine complete with a 5-year/100,000-mile powertrain warranty that has experts raving. RAM also delivers conveniences like the RamBox cargo management system and Cargo-View camera that allows you to monitor your load or hook up a 5th wheel without craning your neck, among others. Explore the many ways you can engineer your RAM 2500 to make your next San Angelo road trip hassle-free, then keep reading to see why, for a quality car-buying experience, Stanley CDJR Brownwood should be your only stop. Why Choose the RAM 2500 from Stanley CDJR? Large Inventory: Find all the most popular trim level options in stock, so you can take your new car home today. Special Offers: Save more on vehicles, parts, and service with special pricing. Convenient Financing: Calculate your payment, value your trade, and apply for financing right from your home or office. Top-Notch Service: Schedule an appointment in our state-of-the-art service center and allow our factory-trained and certified techs to take care of your investment right. 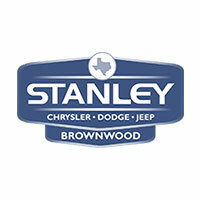 Whether it’s sales or service you need for your RAM 2500, the staff at Stanley CDJR Brownwood will treat you just like family.